Janet Prip, photo by Scott Lapham. 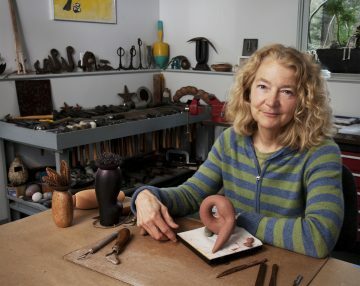 Janet Prip, the daughter of Danish master metalsmith John Prip, was born in 1950 in New York. By the time her father was concluding his teaching career at the Rhode Island School of Design, she enrolled as a student, lucky enough to study with her father for four years. Prip began her career as a jewelry maker but transitioned into making sculptural yet functional objects. She has enjoyed nature-based creating with found objects and stones. Today she is moving into a pure sculptural mode and contemplating large outdoor pieces. 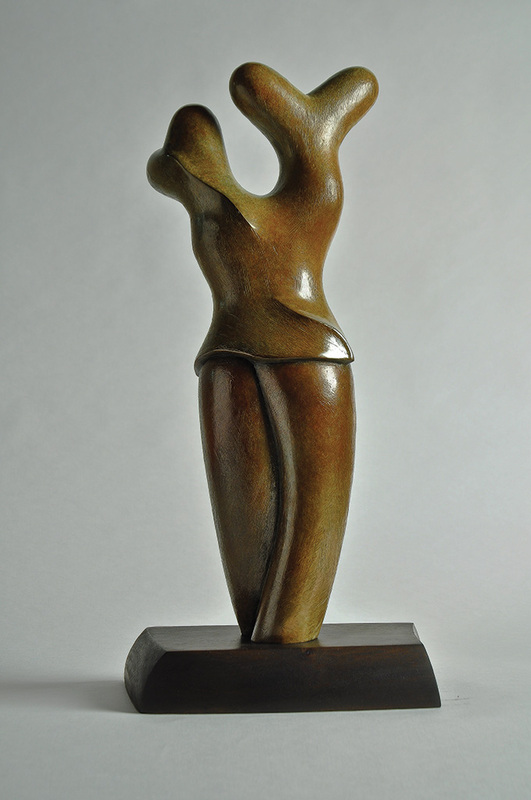 Bronze with wood base, 17 x 4 x 3 in.